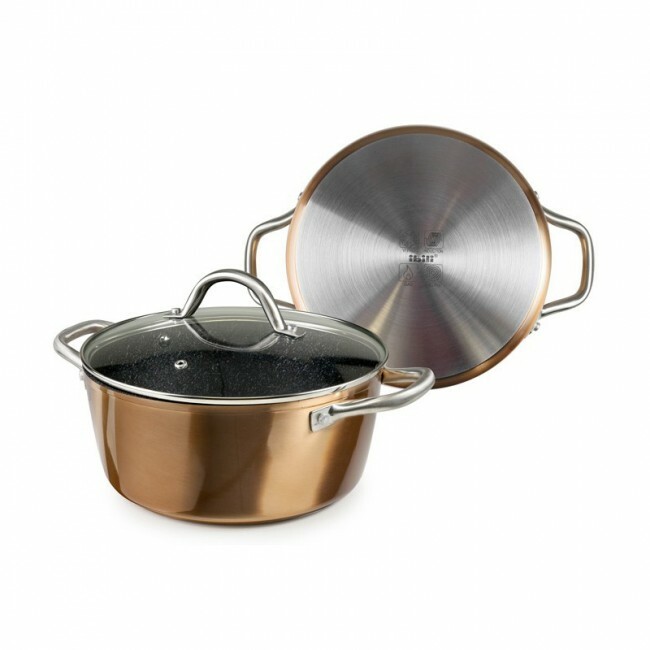 Make all your velvety soups in your Ibili Natura Copper cooking Pot with high thermal conductivity. This kitchen equipment has a ceramic coating to allow you to cook without excess fat. Make all your velvety soups in your Ibili Natura Copper cooking Pot with high thermal conductivity. This kitchen equipment has a ceramic coating to allow you to cook without excess fat.